I’m not naturally an activity mom. I’m more of a “read stories and talk about life” mom. But recently I decided to take a full week off of work just to connect with my kids. We spent a week doing all of the things my kids wanted to do, whether I thought they’d be fun or not. The top of their list? See, we homeschool, and my kids don’t really use the internet. We have avoided the slime phenomenon before now, but all things catch up to us. 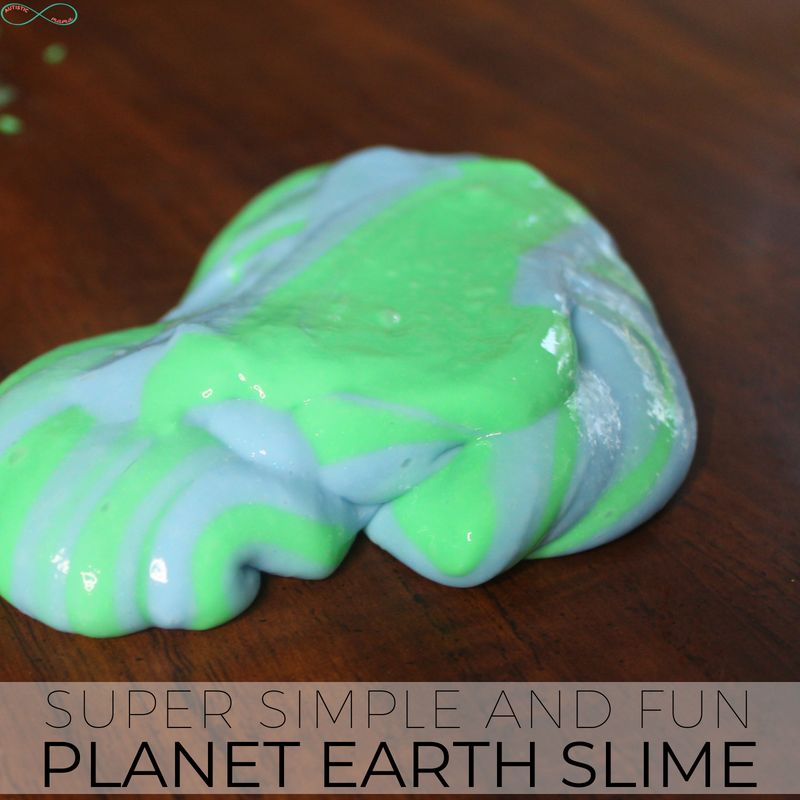 So I put my hesitation aside, grabbed my friend Sarah’s Ultimate Slime Guide, and we made this super simple and fun planet earth slime! 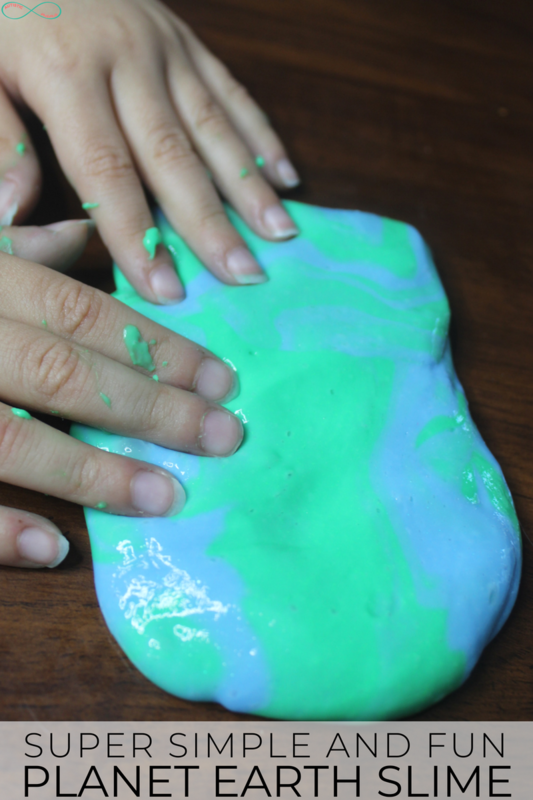 This slime would be perfect for Earth Day or for a fun activity to do during a space unit study! 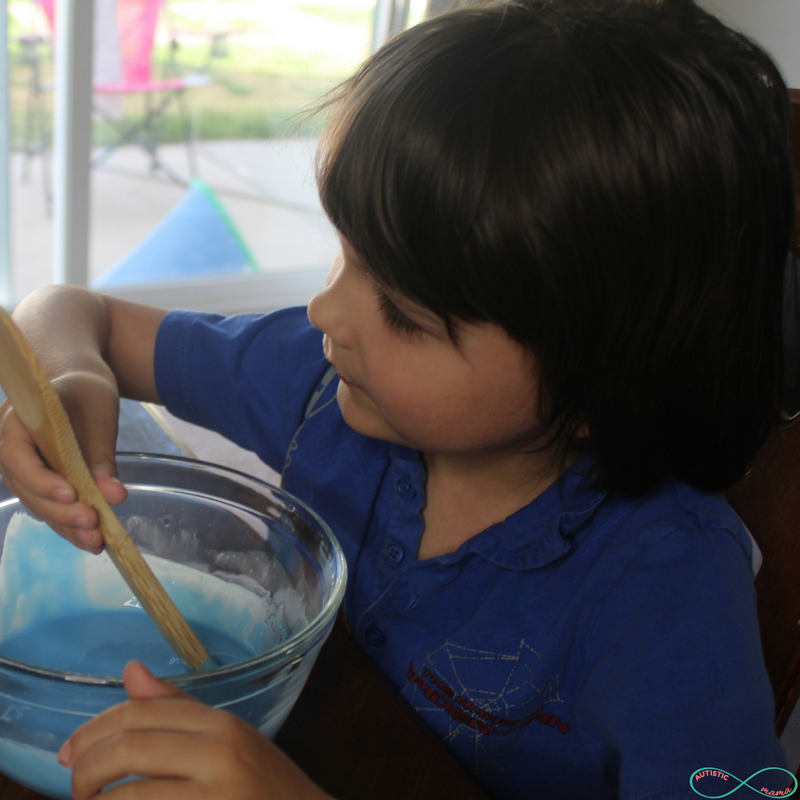 My kids are OBSESSED with the planets, so they had a blast making this super simple planet Earth slime! And for our first ever slime, I don’t think it turned out half bad! 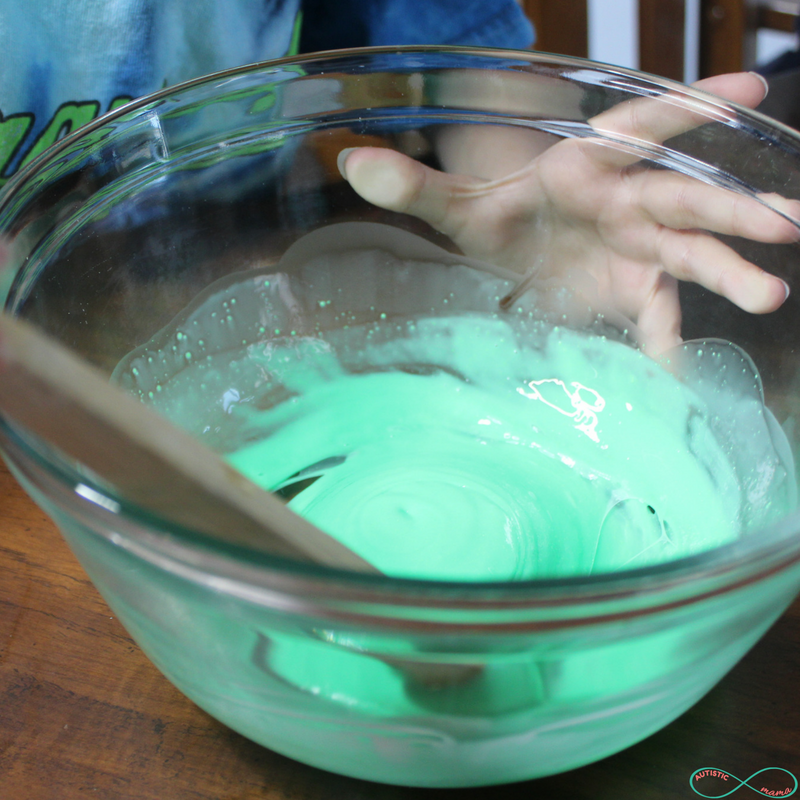 First, you’ll grab two bowls and add 1/2 cup of glue and 1/2 cup of water to each. 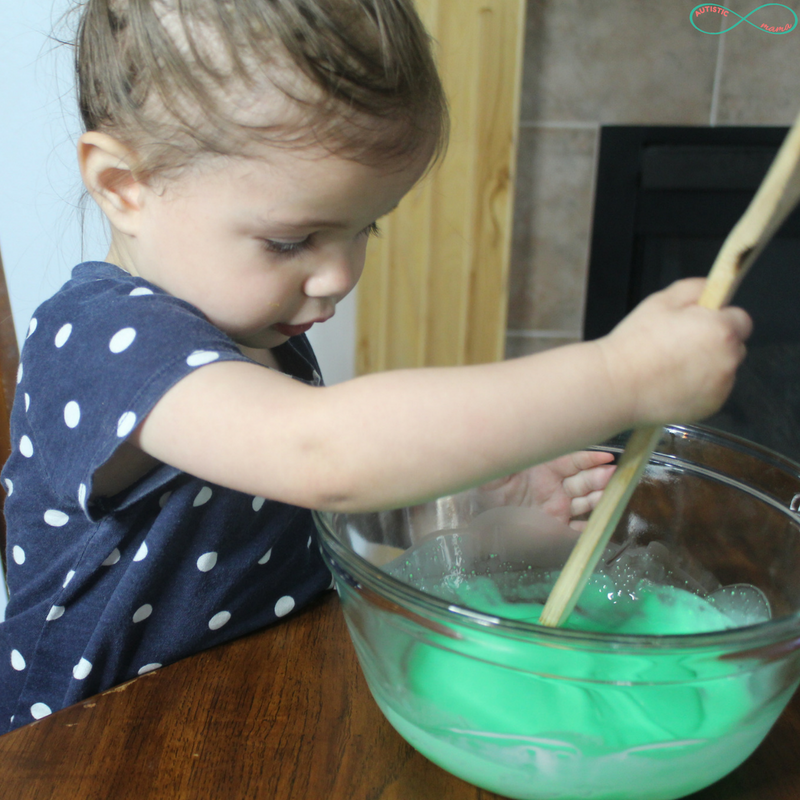 Next, you’ll stir in your blue food coloring to one and green food coloring to the other. Then you’ll sprinkle 1/4 teaspoon of baking soda over each bowl and gently stir. Now you’re going to add in any mix-ins you’ve decided to include. 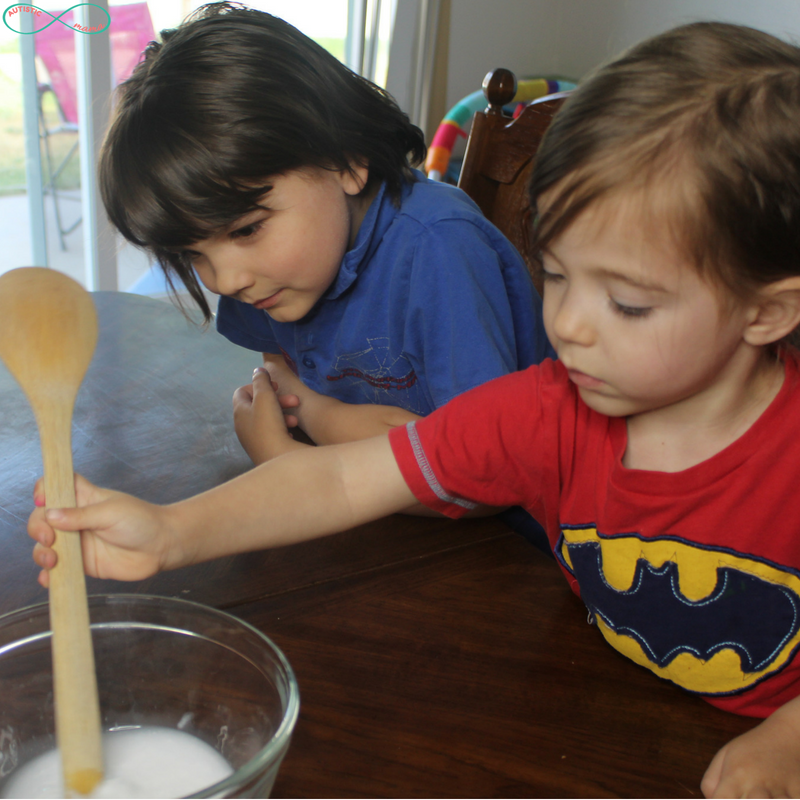 Next, add 1 tablespoon of saline solution to each bowl, and stir until the slime starts to pull away from the sides and bottom of the bowls. 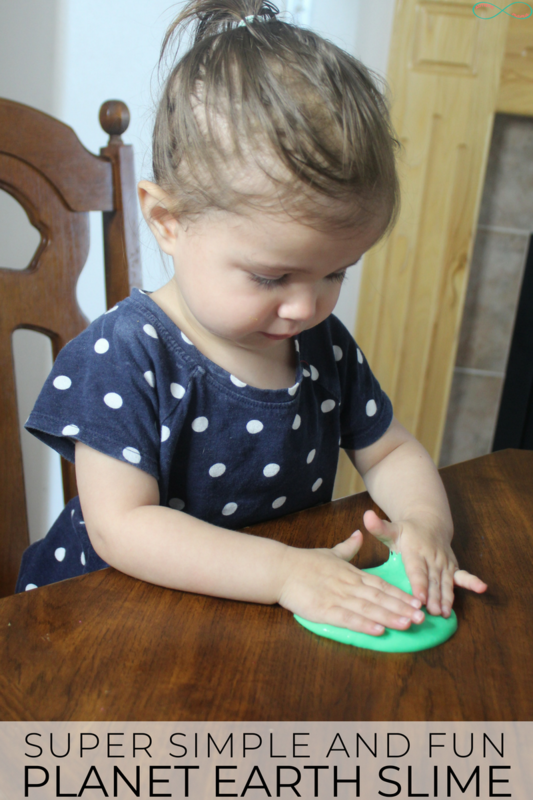 Add a few squirts of saline solution to your hands and pick up the slime to knead until smooth. Then you get to play! Mix the blue and green slimes together to create the water and land surfaces on Planet Earth. 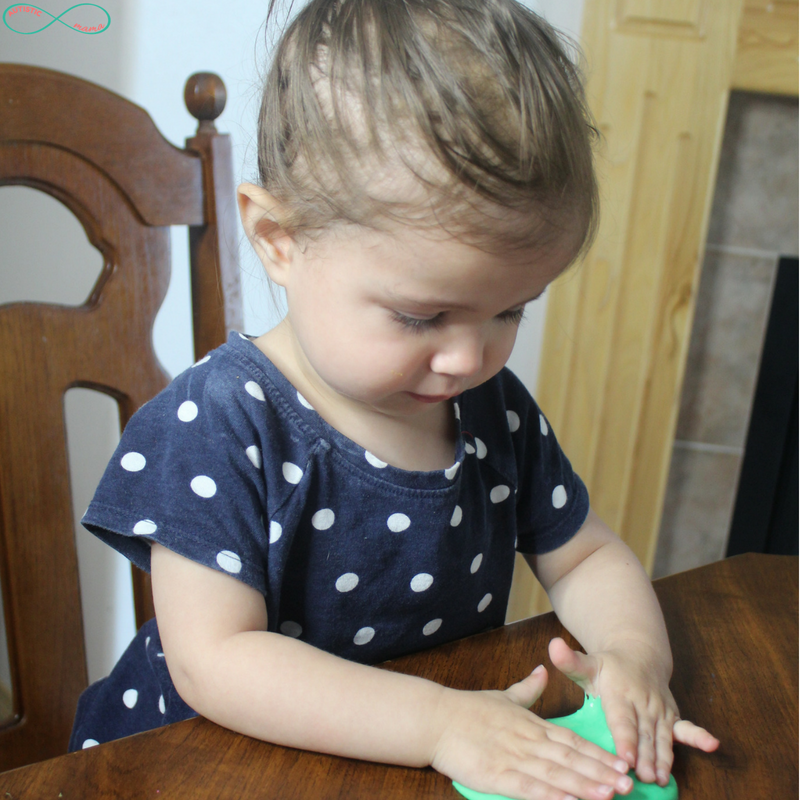 You could even roll the slime mixture into a sphere to make a globe! 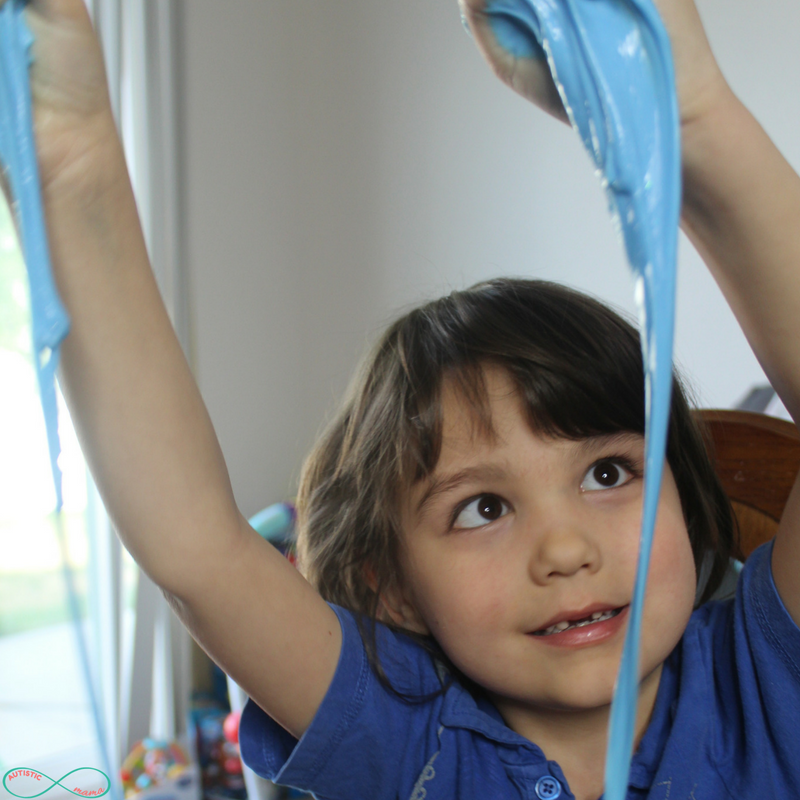 If you’re like me, and you get easily overwhelmed with making slime, you’ve got to check out my friend Sarah’s book, The Ultimate Slime Guide. 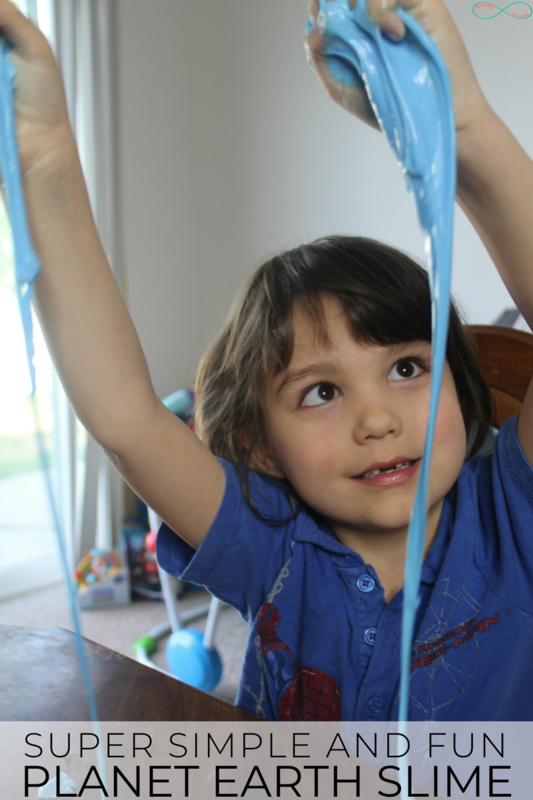 With Sarah’s help, my kids think I’m the “coolest mom ever” because I was finally brave enough to take on slime. And it really wasn’t as scary as I thought! 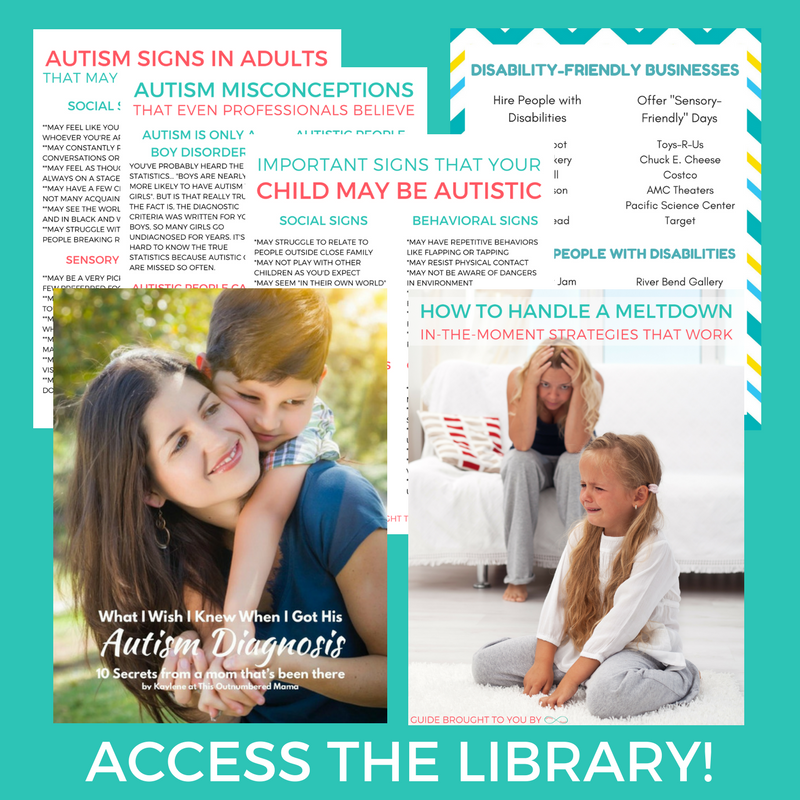 Grab your copy of The Ultimate Slime Guide here!